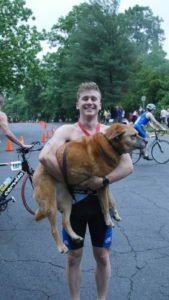 My name is Noah kennedy and I am senior at the University of Delaware studying chemical engineering, and also the president of my school’s triathlon club. I started racing triathlons in the 4th grade, and did both cross country and swim team all of high school. My favorite part about the sport is getting to race with my dad: he introduced me to the sport and we’ve been racing together for the last six years. I was so excited to hear that Kinetic Multisports was coming to Delaware and Pennsylvania. Now I can compete close to home and I love meeting new people and sharing my love for the sport of Triathlon!